Rosapineta Camping Village is a campsite with 1151 touring pitches and 100 year round pitches. 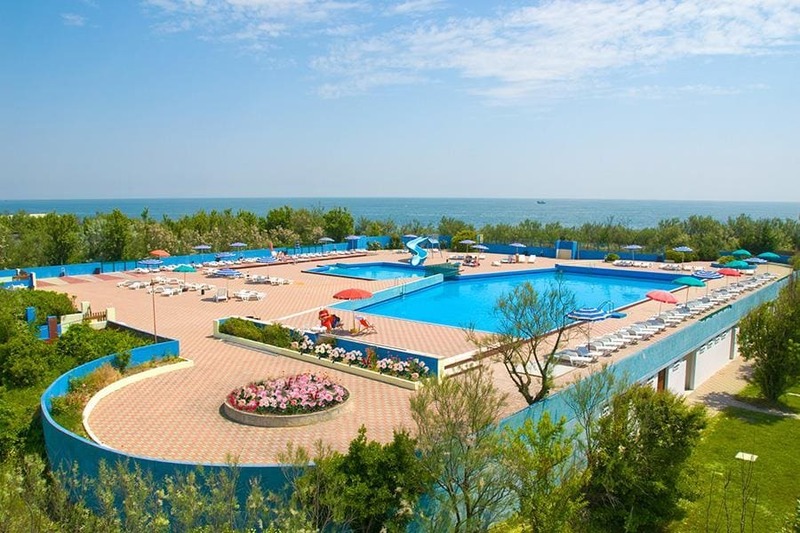 During low season, between 16-05-2019 - 30-06-2019 and 01-09-2019 - 16-09-2019, the nightly rate is €18,- at one of the 1151 touring pitches at Rosapineta Camping Village in Rosalina Mare (Rovigo). At this campsite you can not only use your CampingCard ACSI for inexpensive camping, you can also use your ACSI Club ID (as an alternative ID). 46 hectares to enjoy the flora in peaceful surroundings near the beach. Good cuisine and a romantic terrace. Visit Venice. Relax at the site. Shopping facilities near the village centre. Two swimming pools, one with a whirlpool. Low season offers: 7=6 and 14=11 from 15 May to 8 June. Would you like to book Rosapineta Camping Village or request more information? You can do both using the information below. A4 Milano-Venezia, exit Padova Interporto. SS Romea direction Chioggia/Ravenna. Turn right 14 km beyond Chioggia and 200m past bridge over the Adige and follow signs to Rosolina Mare. CampingCard ACSI will send your information request to "Rosapineta Camping Village".